Israeli Soldiers Line Up, Shoot and Kill 3 Young Palestinian Girls - Why? The father says that as the children were murdered, some of the Israeli soldiers were eating chocolate and crisps. 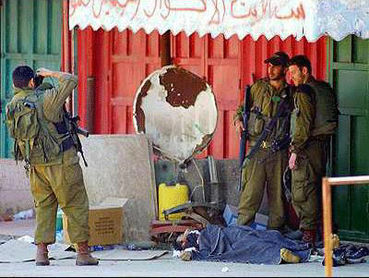 The father says that as the children were murdered, some of the Israeli soldiers were eating chocolate and crisps.!!!! He says he is sure his seven year old daughter who survived the shooting misses the teddy bear he picked up from the scene of the shooting. Defending the shooting deaths of the little girls. IDF spokeswoman Major Avital Leibovich said �there were many cases of gunfire being exchanged between combatants.� Excusing the deadly event, she says many civilian facilities had been used by militants. She did not explain how or why Israel constantly attacks the Gaza Strip when it is not their country, in any way shape or form.